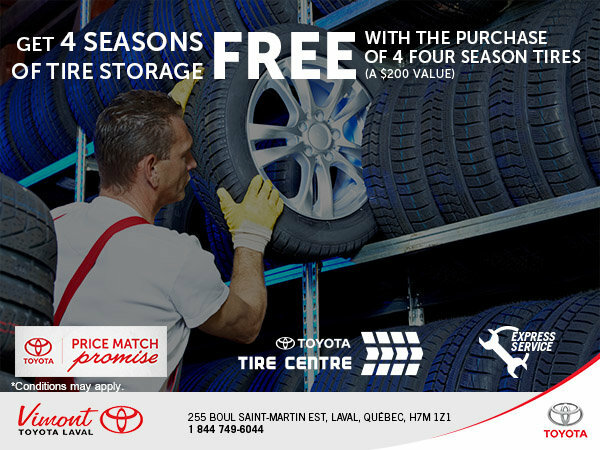 At Vimont Toyota Laval, get 4 FREE seasons of tire storage with the purchase of 4 new tires, a $200 value. - The storage of summer tires expires on June 30th. - The storage of winter tires expires on December 31st.